Save Loads of Cash on All Gas and Electric Water Heater Repair, Replacement, and Installation Services in Glendale, CA. It’s true. When your electric or gas water heater fails it is never at the best time. This is why Glendale Expert Plumbing and Rooter is available 24 hours a day, seven days a week – holidays, too – to assist you with emergency services in Glendale, CA. Our top-notch technicians are on-call and waiting to help you with whatever situation you are in. We handle any and all types of electric or gas water heater tank repair or replacements. Day or night, we promise to be there for you when you need us the most. Looking for a company with the best-trained technicians to help you with your water heater repair or replacement services in Glendale? Then look no further than Glendale Expert Plumbing and Rooter. All of our certified technicians are required to achieve over 100 hours of continuing education in the plumbing industry on an annual basis. Our training managers oversee the training at our onsite training centers and guarantee that the technician that arrives at your home is armed with the best industry knowledge and skill possible. From utilizing new techniques to making expert installations, you can count on our contractors to deliver service unmatched by any other plumbing or HVAC company in town. When you do business with Glendale Expert Plumbing and Rooter, you are assured up-front pricing no matter what the repair or installation service may be. We don’t believe in surprising our customers with outrageous, unexpected repair bills. We prefer to surprise them with affordable pricing that is based on the job, not an hourly amount. Give us a call today and we’ll provide you with a no-cost, no obligation, 100% accurate quote for service. 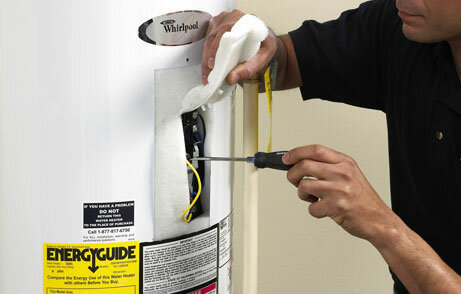 Why are we the #1 water heater repair and replacement company in Glendale, CA? That’s a simple question to answer. For starters, we believe in worry-free pricings supported by our accurate quotes and up-front pricing policy. We also offer flexible scheduling that works around your schedule, same day service, emergency repairs, and a professional attitude that is unrivaled. We treat your home like it is our own, giving you and your property the respect they deserve. Call us to schedule a consultation with one of our contractors and see for yourself why we are #1 in customer service and repairs. We also offer kitchen and bathroom fixture installation and faucet repair!